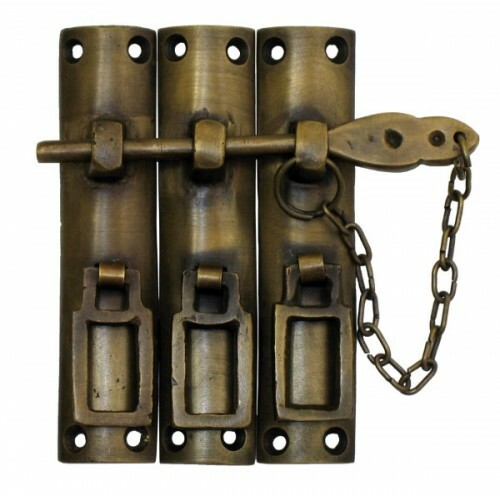 The Gado Gado Three Piece Lock w/ Chain Latch HLA7014 (3-1/2 inch x 5/8 inch) in Antique Brass (HLA7014) is part of the Gado Gado Collection. Other finishes are available using the item below. 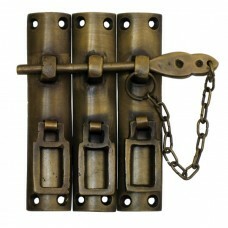 The Gado Gado Three Piece Lock w/ Chain Latch HLA7014 (3-1/2 inch x 5/8 inch) in Custom Finishes (HL..